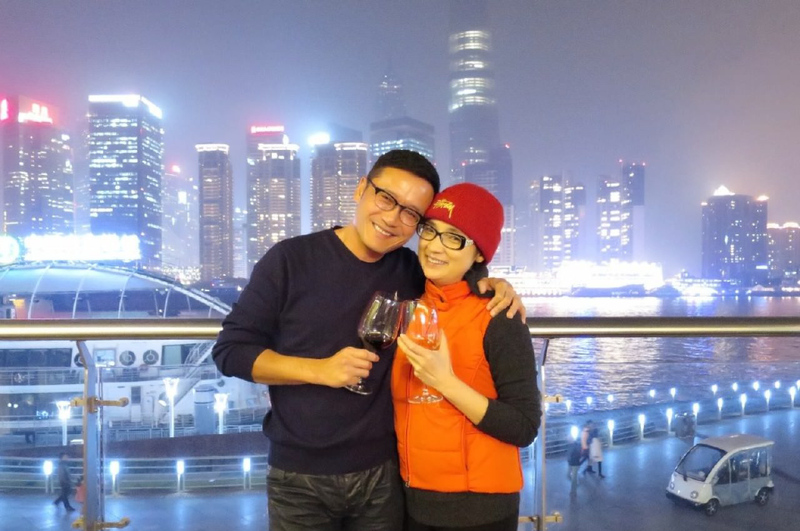 Michael Miu (苗僑偉) and Jamie Chik (戚美珍) are often regarded as one of Hong Kong’s favorite celebrity couples. Although the two are often seen as a loving couple, Michael recently revealed their tumultuous past in their dating relationship and early marriage. 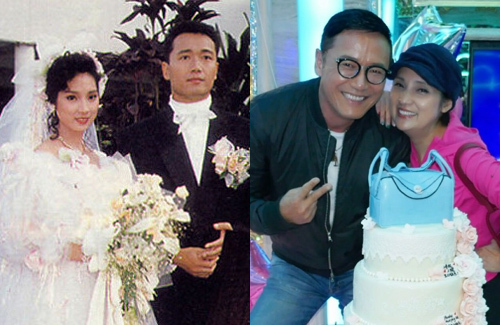 Falling in love while filming TVB drama You Only Live Twice <飛越十八層>in 1982, Michael and Jamie dated for one year and then broke up. He even briefly dated Anita Mui (梅艷芳) in 1983. For the next few years, breaking up and reconciling with Jamie seemed to be frequent cycle. Describing Jamie as hotheaded and short-tempered when she was young, Michael often got into heated arguments with Jamie. Refusing to let go of their relationship, Michael always made the first move to apologize after they had a argument. Learning to always take a step back and compromise, Michael lived by this motto and managed to make amends every time. For Jamie’s initial impressions on Michael when they met and her perspective on their relationship, read “Jamie Chik Reflects on Being Michael Miu’s Wife and an 80s Star“. So happy for them. I think that the patience, compromise and commitment have definitely paid off in this marriage. Every marriage will have their ups and downs and sometimes you have to put the other person first ahead of yourself to make it work. I have always like him. Happy to know that he is a good husband material. @mangotango i like michael miu a great deal…he is really a good actor especially in Line Walker. What I admire about Michael is his modern and patient attitude about life. Jamie was a spitfire, and she still can be, but not as often as before. Michael loved her and despite the many break ups, was willing to stand by his woman, no matter what. That is love, compromise and patience. Jamie realised she had a good man and was willing to control her temper more over the years. I really admire Micheal. He is not as revered or popular as a good friend of his, or other celeb friends. However, he is a better example of a husband, father and human being. Not to mention a better actor. I remember when he was approached by the media in a racist manner about his son dating a black young lady in Ontario. His answers were classic, and showed how cool and open-minded he is. Not many chinese parents want their kids dating blacks, and I was very pround of Michael’s responses. It does not surprise me he was willing to be patient and give his wife the time and love she needed to curb her short fuse. Certain of his fellow celebs will never do that. They want to, and DO control their wives, wifies have to be humble, obedient and silent. They would rather die than have their offspring date blacks. I don’t believe in celebs being role models, if if I did, Michael would get my vote. His wife had better make amends and not take her long-suffering husband for granted. If she doesn’t know how to honour and love her husband after all his years of love and patience, then she doesn’t deserve Michael’s love. i notice that when there are fiery wives, the marriages tend to last long and the couple is generally happy. for example, chilam cheung & anita yuen, dicky cheung & jess zhang, law kar ying & liza wang and now Michael miu & Jamie chik. they might fight a lot, but it keeps things passionate. fighting is better than no fighting. or it may be a case of where these women choose men who allow them to be hotheaded and yet still love them. Maybe the reason why the fiery qives are happy is becausr the husbands let them have a voice, their independence and individuality. A woman does not necessarily have to be working to be independent. That can come through being able to express herself, have her own life and opinions and allowed to express herself . I noticed that the “Yes”, obedient, submissive subservient wives who were molded, caged and not allowed to utter a word are not happy. Even when they laugh, it looks staged and contrite. These fiery wives will respect and love their husbands for not trying to control them. This will lead to a happy marriage, even when it has its its not so calm moments. @bubbletea it can be a case of the man letting his woman express herself; but a woman also needs to be unafraid to state her opinions, no matter the consequences. I’ve seen spitfire women who end up becoming timid and shut out when they end up with really dominating men. it’s like split personalities! some really don’t want to step on egg shells so they withhold all opinions. so kudos to women who stay true to themselves and for successfully finding men who accept them as they are – and maybe even enjoy it! @coralie very good points, and very well said. All the couples you mentioned fit perfectly into your comments. Yes, women need to express themselves and their husbands or boyfriends should give them a stage to do so. After all, this is 2018, not 1945 , hehehe. I basically said the same thing. You noticed that many idold have unhappy lookings wives because they are not allowed to speak up ? @bubbletea perhaps that is the reason why leon and his wife split. he is too MCP and do not believe that women have a right to express their opinions. @janet72 I know that about Mr. Dinosaur brain, lol. When Gaile Lok left him, I shouted for joy. He should find an 80 year old granny to marry. She will keep her toothless mouth shut, and not express her opinion. In fact, by the time she opens her gums to state anything, she would have forgotten what she wanted to say. That is just his perfect kind of woman, right? LOL! @bubbletea oh yea I just wanted to emphasize that sometimes it goes both ways. The girl has to stand her ground and the guy has to accept her. yes I do AGREE that a girl should stand her ground and a guy should be wise to accept her that way. Did I beg to differ? ?, cause I am begining to think that you think I do. A fiery wife leads to a passionate relationship, if the guys are cool and modern. That is why the couples you mentioned are still happily married. Firery women never bore their husbands or boyfriends.There are some that are in long term marriages that the wives are not happy though cause the hubbies are selfish control freaks, and they can shout from the rooftops how happy they are, some of us know better. From what I know, these fiery women know how to keep the home fires burning, hope you get my drift. Maybe these are a few reasons why these marriages last.